How can schools impact student achievement and produce better learning? It’s always a question on an educator’s mind, but especially now as we start a new school year. The answer, almost always, must focus on the continuous growth of teaching and learning in the classroom. Today on the blog, we’ll consider two interrelated mechanisms educators use to support that continuous growth: administrator walkthroughs and teacher evaluation systems (in particular, T-TESS, Texas’ newly adopted system). Classroom walkthroughs and teacher evaluation systems like T-TESS (Texas Teacher Evaluation and Support System) have a shared purpose. They both intend to support teacher growth and development. Walkthroughs help administrators collect evidence of teaching and learning, while teacher evaluation systems (ideally) promote a collaborative school culture to help teachers grow professionally. 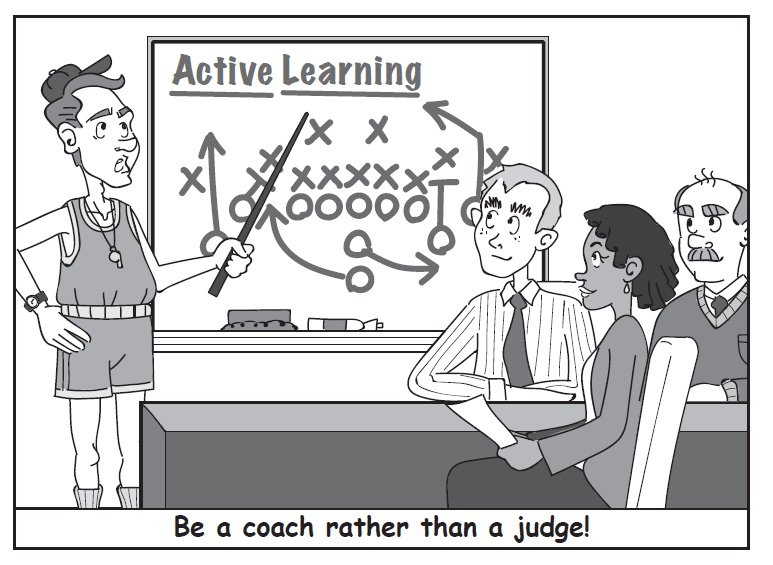 Guiding teachers to become active participants in walkthroughs and formal observations. Engaging teachers in ongoing productive conversations that provide insight about intentional use of instructional practices. Empowering teachers to make connections between feedback and growth. Collaborating with teachers about instructional and professional development. Demonstrating how evidence-based feedback impacts professional development decisions. Coaching teachers to develop a continuous growth mindset toward teaching and learning. Classroom walkthroughs or informal observations range from approximately 5 to 15 minutes. Districts can create their own walkthrough forms based on district initiatives. Based on the district’s decision, these frequent classroom visits may occur daily and may be announced or unannounced. Walkthroughs yield valuable data sets that support the goal-setting conferences that occur early in the school year between teachers and school admins. The goals identified in this conference require administrative support and targets to support growth. Targets should be linked to campus or individual needs of the teacher. Working collaboratively, the campus leader and teacher might identify a need that supports a school-wide initiative. Subsequent walkthroughs are focused on targets set in the collaborative meeting. Four walkthroughs are the minimum; the more walkthroughs conducted by the principal, the more accurate the picture becomes of student learning. 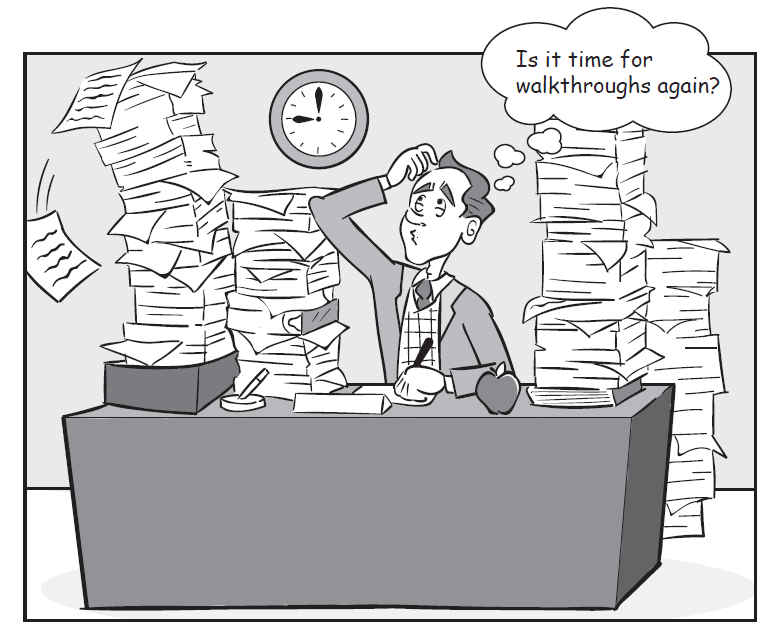 Walkthroughs provide relevant, evidence-based feedback for target areas. This feedback loop should provide guidance and coaching for improvement. A feedback loop exists between the teacher and the students in the classroom. This continual feedback is what determines the effectiveness of instruction. Student-learning evidence, gathered during walkthroughs, show how students respond to the instructional practices implemented by the teacher. Focusing on this during the walkthrough provides direction for instructional adjustments and professional development. Continuous improvement conversations between the teacher and school leader are a critical part of T-TESS and walkthroughs. Guiding teachers to develop individual professional learning plans to meet student and campus needs is an important part of these collaborative conversations. In Texas, the Professional Development and Appraisal System (PDAS) focused on teaching, whereas the T-TESS guides the conversation toward learning. The T-TESS is about what students are doing and saying in coordination with what teachers are doing and saying. With the T-TESS, the conversation moves from teacher-centered to student-centered to student-directed. Walkthroughs yield data that reflect the consistency of the teacher to utilize strategies and best practices that deeply engage the students in the learning process. A refinement area, based on the T-TESS rubric, surfaces when there is sufficient and specific evidence from the lesson to support why the teacher needs to grow in this area. Planned walkthroughs will target the identified refinement area to deepen knowledge and skills and lead to improved student performance. Walkthroughs add value because they can focus on and gather data on any area (e.g., teaching, classroom culture, assessment, planning). While walkthroughs can be aligned to the T-TESS rubric, the classroom walkthrough data will not be mathematically averaged into the final T-TESS ratings. The T-TESS rating is based on a nine-month experience. Registering the rating considers all the available evidence (e.g., walkthroughs, student performance examples, the formal observation, parent communication). Any artifact the teacher or principal can produce to support this register should be considered. Registration implies achievement with verification. Although classroom walkthroughs will not be calculated into the final T-TESS rating, they can help register the rating. The walk-throughs should complete the narrative. 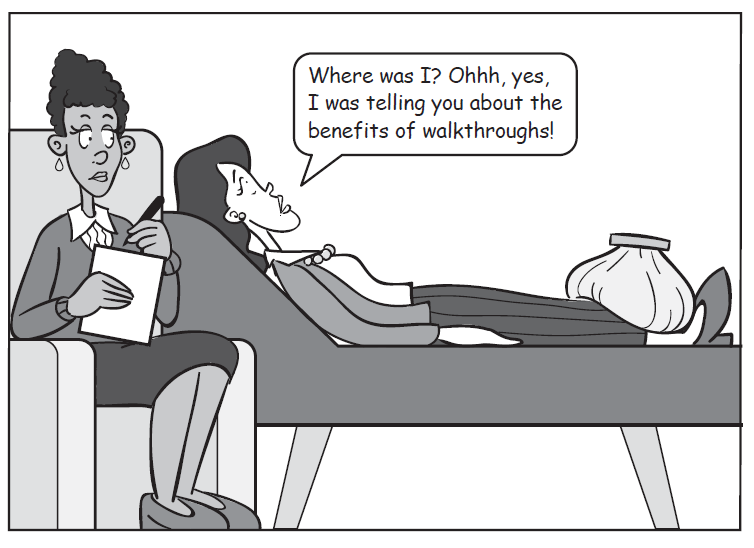 Walkthroughs best support teachers when reflective questions are asked. Impacting learning is paramount. If you’re interested in diving deeper into these ideas, check out the T-TESS Flip Chart and Best Walkthrough Practices, a book in our Principal Success Series. What questions do you have about aligning classroom walkthroughs and T-TESS or other teacher evaluation systems? Leave your thoughts and ideas in the comments below. 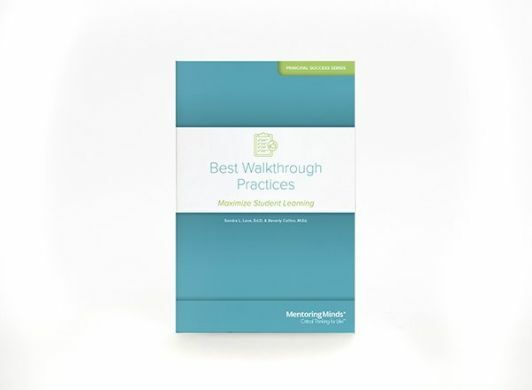 Refine your classroom walkthrough habits with dozens of best practices, tips, and suggestions from current and former principals.